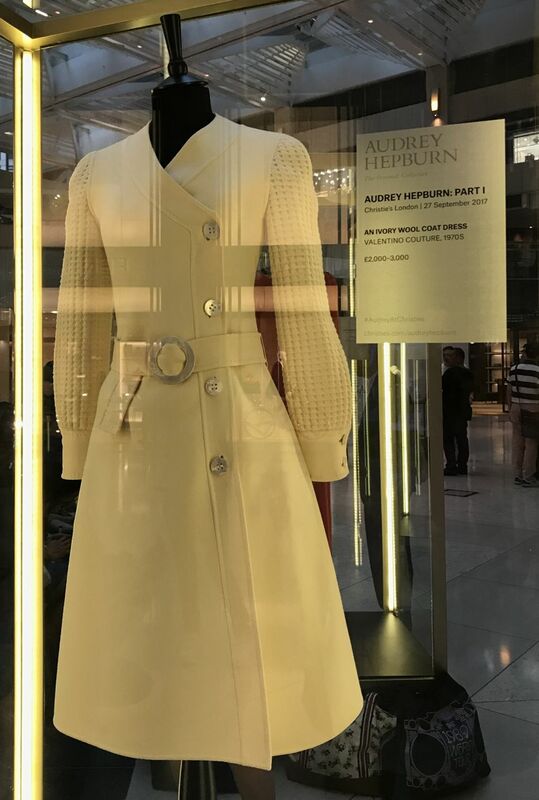 Auction house Christie's is going to sell some of Hollywood actress Audrey Hepburn's personal items in an upcoming sale on September 27 in London. 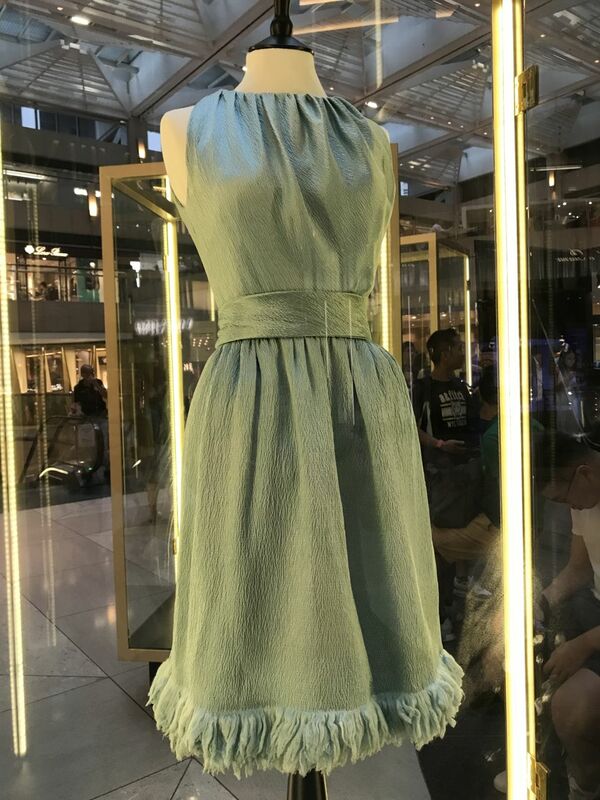 To drum up interest in Hong Kong, some of the pieces, from clothing to jewellery to miscellaneous items are being shown at the Landmark Atrium -- otherwise known as the Landmark fountain -- from now until September 8. Yesterday we saw the items on show and were in awe of Hepburn's petite size, though she was quite tall too. 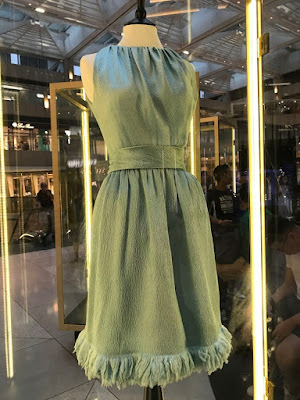 There was a black cocktail dress by Givenchy Couture she wore as Regina "Reggie" Lampert in the 1963 movie Charade, or how about the gorgeous pale blue satin cocktail gown she wore to promote Two For the Road. She also had Burberry trench coat way before it was trendy years ago, and a few pairs of ballet flats (used) should you want to own them. We loved the detail of the ivory wool coat dress with the detail of the outer stitching, the mother of pearl buttons, and knit sleeves. What a cool combination created by Valentino. Also for sale is a tiara and the annotated script from Breakfast at Tiffany's that will probably generate a lot of interest. Did you know Hepburn could paint? Now you do! 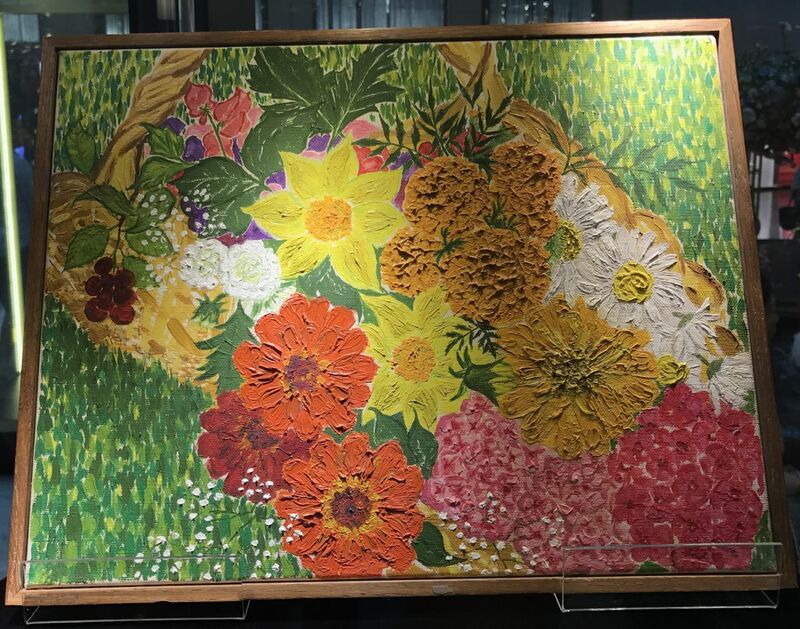 What I liked the most was her oil painting called My garden flowers painted in 1969. The flowers are so colourful and vibrant, with texture too from the brushstrokes to try to make it less two-dimensional. I didn't know she was a painter, like Katherine Hepburn too!